arizonensis adj [L aridus - dry + L zona - belt + L ensis - of]: of or pertaining to Arizona. A zone of arid to semi-arid lands centered in the Southwestern United States. 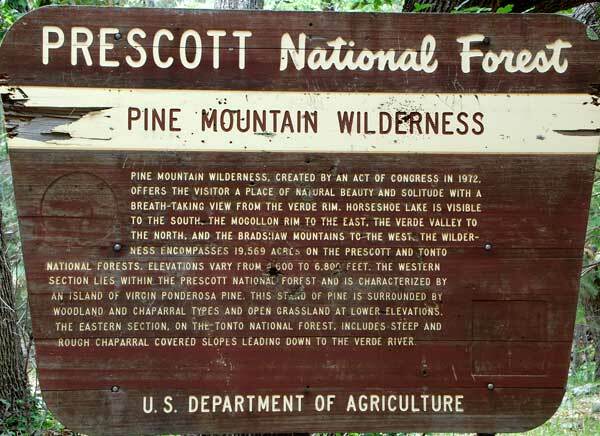 An extensive guide of over 1000 web pages covering the study of the nature in the Sonoran Desert. Many, many photos, watercolors, and descriptions of birds, insects, arachnids, plants, and habitats of the Sonoran Desert. Where to hike and what Natural History to see. 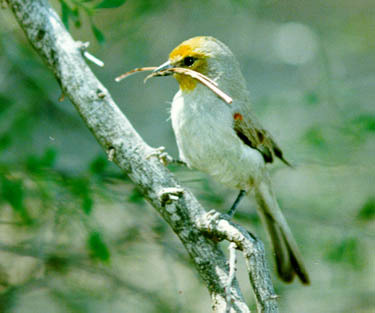 Venomous insects in the Sonoran Desert include many bees and wasps. Surprisingly some ants sting worse than many bees! 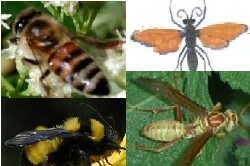 These are our all-important pollinators, so we must protect them anyway. Coleopterist's aren't sure who said it but it rings true: If you want to know the Creator study his/hers favorite subject: Beetles. 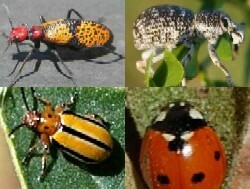 There are way more kinds of beetles than any other order of animals in the Sonoran Desert. 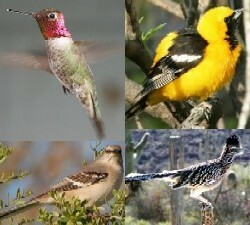 Picture guide to common birds in Arizona's Sonoran Desert. Plus a guide to Riparian Birds and also to Desert City Birds. Big bugs, small bugs, noisy bugs, colorful bugs, water bugs, seed bugs, aphids and hoppers! 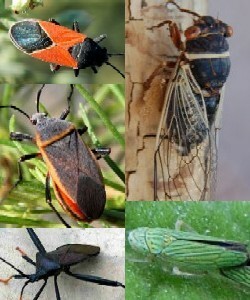 Picture guide to some Sonoran Desert True Bugs. So many bugs, so little time. 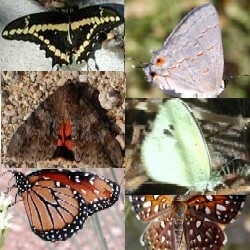 Butterflies in the Sonoran Desert: An amazing variety of butterflies and moths are found in the Sonoran Desert with both tropical elements and temperate mountain and chaparral elements. A fantastic journey into the Lilliputian world of ants ... lots of detailed photos and natural history descriptions by Dale Ward. Despite their small size ants are among the most important keystones in the ecology of the Sonoran Desert and other Arizona habitats. 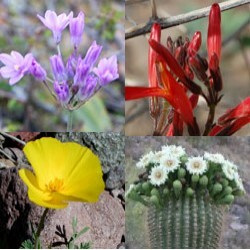 Guide with color photos and line drawings to almost 400 species of Sonoran Desert Plants. A few are still missing from the guide. 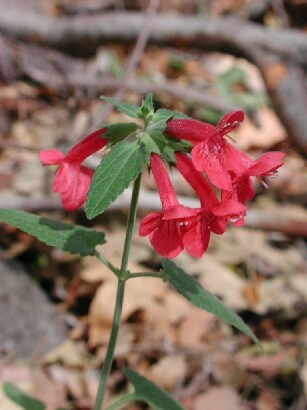 If you can, please submit a good photo of a missing species with data to mjplagens@arizonensis.org. 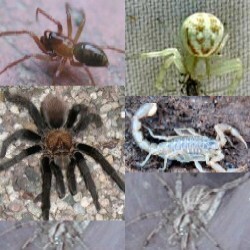 Eight-legged Critters in the Sonoran Desert: Spiders, Scorpions and Mites. Save one or two mildly dangerous examples, most arachnids are far more fascinating than scary. Stories and Fables by Ann McDermott. 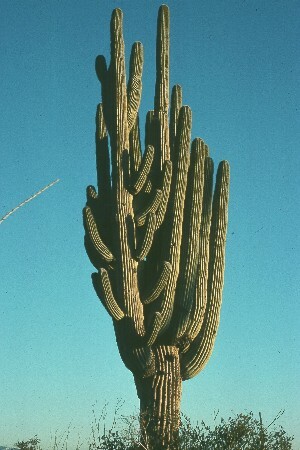 A unique vision of the Sonoran Desert. This bold red mountain rises above the teaming city. It entices both experienced and inexperienced to climb and explore. High Country Insects: In the mountains above the desert virtually an entirely different set of spiders, butterflies, beetles, flies and bugs exists. 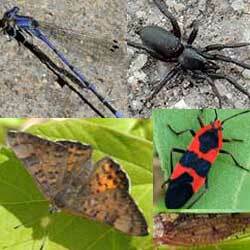 Here find a sampling of summertime arthropods in the high country. Cool mountain forests are just an hour or two drive from the hot deserts. A completely different set of plants and animals live among the conifers. Riparian Plants inhabit the watered bottoms of canyons that slice into the mountains. With very wet habitats in close proximity to rocky and often densely shaded habitats the range of species is great. 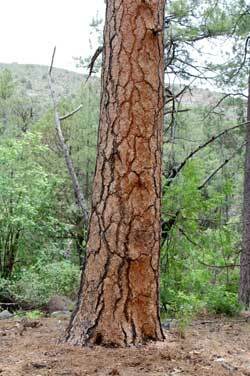 Sycamore Woodlands are among the most glorious of natural landscapes in the desert southwest. 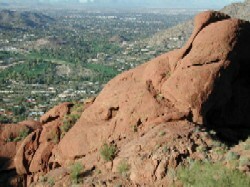 Dozens and dozens of places are called "Sycamore Creek" or "Sycamore Canyon". Exploring these places always surprise and amaze an observant naturalist. The Sonoran Desert Naturalist uses third party advertisements to partly support this educational web site. Some of these advertisers may use technology such as cookies when they advertise here, which will send these advertisers (such as Google through the Google AdSense program) information including your IP address, your ISP, and the browser you used to visit our site. This is generally used for targeting purposes (showing California real estate ads to someone in California, for example) or showing certain ads based on specific sites you have visited (such as showing travel ads to someone who frequents tourist web pages).